CMS Cepcor® is the genuine alternative to the original equipment manufacturer for aftermarket crusher spare parts to suit the Parker Trackranger, Rocksledger, Rockranger, Rocksizer, Stonesizer and Hunter range of jaw crushers. 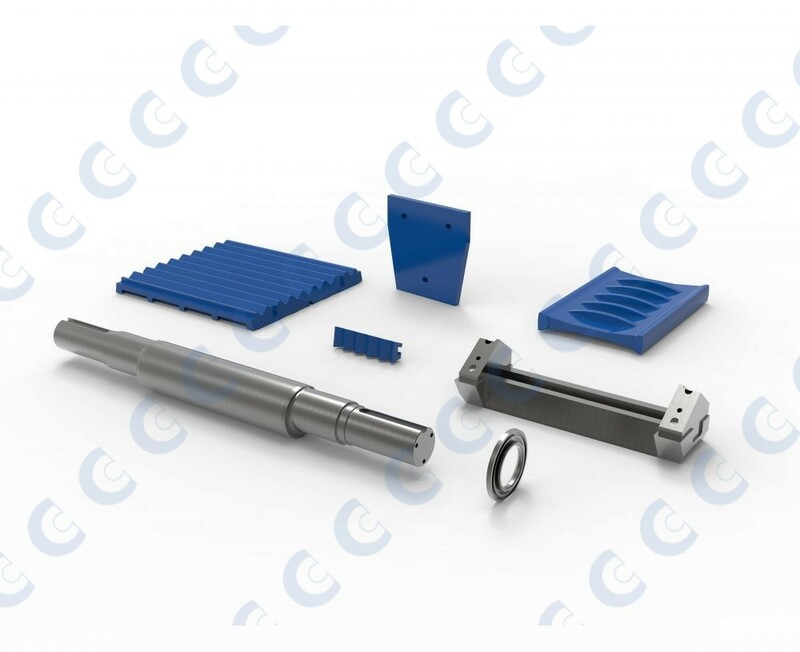 CMS Cepcor® also stocks a wide range eccentric shafts, grooveblocks, and toggle assembly precision machined components. CMS Cepcor® stocks the widest range of premium aftermarket wear parts and spare parts to suit Parker double toggle and single toggle jaw crushers. CMS Cepcor® stock a range of advanced profile jawplates designed to optimize wear life and production. CMS Cepcor® employees have many years of previous employment with Federick Parker and Parker Plant. All CMS Cepcor® compatible parts to suit Parker jaw crushers are manufactured and warranted by CMS Cepcor®.